Welcome to my site. I am a Kettering, Northamptonshire based Guitarist and Guitar Teacher. 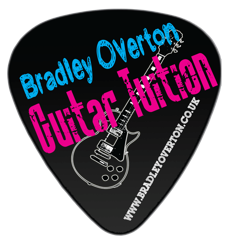 I am a full time Guitar Teacher in Kettering that teaches Guitar lessons, Banjo Lessons (4 and 5 String), Ukulele Lessons and Bass Guitar Lessons from my home based studio and also in several local schools. I have over 15 years experience teaching and 25 years playing experience. I have studied with some of the best Guitarists in the UK, I have had lessons from players such as Jamie Humphries (Brian May, Kerry Ellis, The Australian Pink Floyd Show), Carl Orr (Steve Hunter, Berklee College of Music, Billy Cobham) and Simon Mcbride (PRS Guitars and Hughes & Kettner endorsee, Don Airey – Deep Purple). I look forward to enabling you to reach your potential through enjoyment, enthusiasm and my passion for teaching Music. I can take students from complete beginner right up to Grade 8 standard and beyond. To contact me regarding lessons please find my contact details on the contact page. I also do first lesson free so why not come and have a trial lesson and see how you get on? I also play in a couple of professional covers bands and regularly dep for bands that perform all over the UK at Weddings, clubs, Pubs and Corporate events. I also regularly hold Student Showcase evenings for all my students to perform at least once a year, that gives all students a chance to perform in front of a live audience. Please look through the Gallery for pictures of a recent student showcase.